If you were asked to name the worst threats to women’s health, you would most likely start with breast cancer, heart disease, osteoporosis, depression and a few others. Chances are that Endometriosis may never come to mind. Yet it is a medical condition that should be of great concern. Endometriosis is an incurable condition affecting women. It is responsible for about 30-50% of the cases of infertility and it affects 10-15% of women of reproductive age. One of its many symptoms is the severe menstrual pain that make the “victims” unable to live normal lives. Sadly, very many are unaware of its existence and still suffer in silence. The good news is that help is available. Although it cannot be cured, Endometriosis can be managed and most of its effects alleviated. The more people know about this, the better they are able to manage this condition. 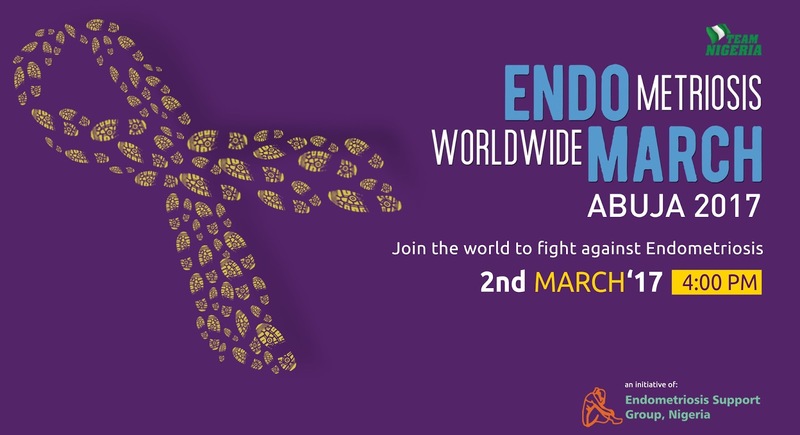 That’s why the Endometriosis Support Group of Nigeria (ESGN) is creating awareness by initiating a walk in support of the fight against the condition. 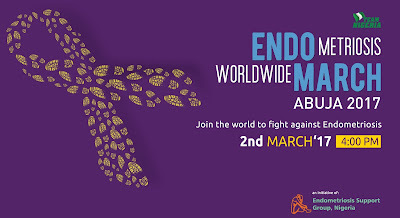 Show your support for women who suffer from Endometriosis by participating in EndoWalk 2017. Every step you take counts and will go a long way in changing a life. The walk takes place in Abuja on the 2nd March and 11th of March in Lagos. Remember every woman is your sister, mother, daughter, niece, aunt, friend, or neighbor.